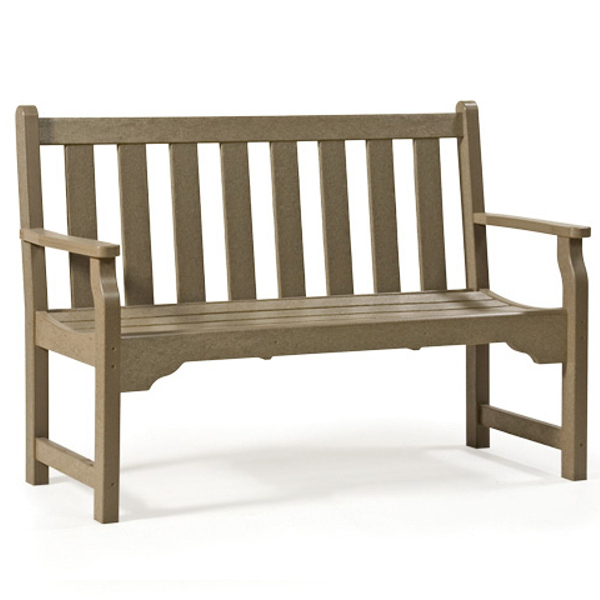 This Horizon Collection garden bench is an attractive addition to your front porch. Enjoy a nice cool beverage with a friend while rocking your cares away. Mold and mildew resistant. Rounded edges. Stands up to rain, wind and salt spray. The Horizon collection features a scalloped lower rail, straight top rail and straight arms. Made from durable, maintenance free poly lumber. Sturdy mortise and tenon construction to give you years of use in all climates. Color matched hardware. 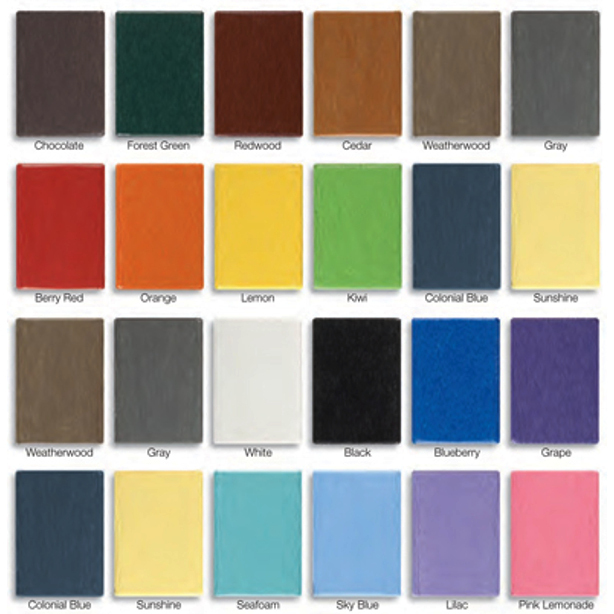 Specially formulated UV stabilizers with solid color pigment running through the product. Mold and mildew resistant.